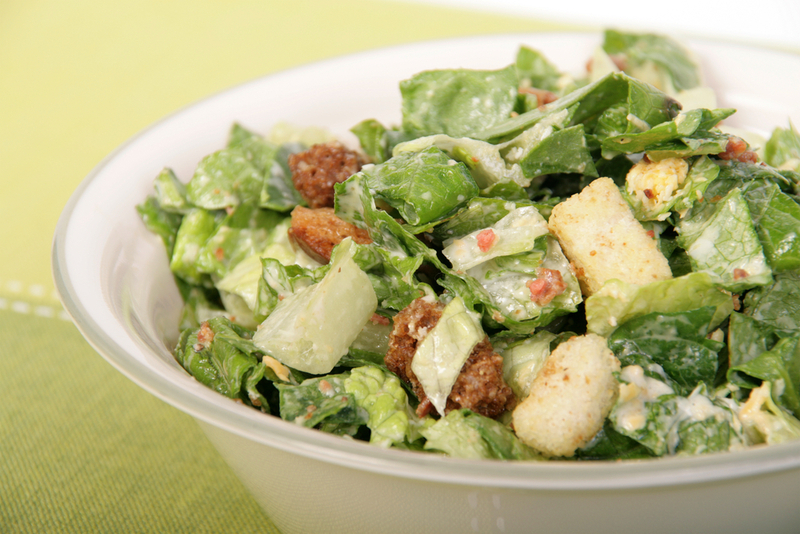 This Caesar Salad dressing recipe is better than restaurant quality flavour, quickly made from scratch in your own home. Yields: 5-6 Servings Add the garlic, the anchovy paste, mustard and egg yolk to a large bowl and blend together until thick and smooth. While whisking, slowly drizzle in the olive oil until you have a smooth emulsion, but you may need to add more depending on the freshness of your eggs. Pour half the dressing into a small bowl and add 3/4 of the lettuce the using a spatula, toss to coat the lettuce, then add the rest of the lettuce once the first part is coated. Add the rest of the dressing one 1 TSP at a time until it is coated to your preference, then season with salt and pepper to taste. Top the whole bowl with the parmesan cheese or use extra cheese to dress solo plates.